Former Stone Temple Pilots frontman was 48. 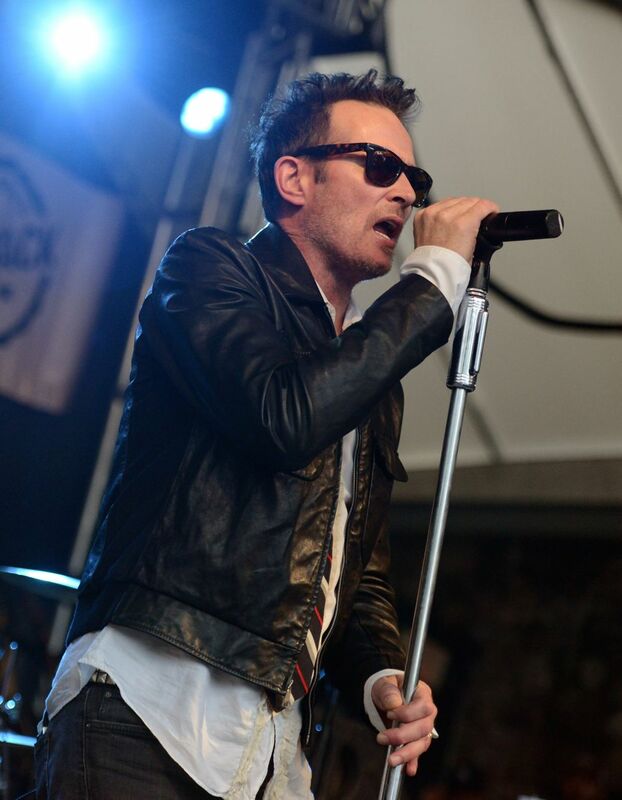 News reports are coming through saying that Scott Weiland, current frontman for The Wildabouts, and former lead singer for Stone Temple Pilots and Velvet Revolver, was found dead on the Wildabouts’ tour bus. He was 48. This occurrence ends one of the more tragic stories that developed out of the rock resurgence of the 1990s. However one might feel about Scott Weiland, it would be difficult to deny he was part of the top tier of ’90s rock vocalists, a rarefied group we know by name inside and outside the confines of his organizations. Known for many years informally as just “Weiland” he had the cache of Kurt Cobain, Eddie Vedder, and sadly of Layne Staley, with which he will most likely be paired in terms of their demise. There is no cause-of-death issued yet, but Weiland made it far too easy to jump to conclusions. Stone Temple Pilots’ rise came based, in the minds of many, through mistaken identity. The band’s debut Core found Weiland frequently adopting the “cottonmouth” affectation that crept into the alt-rock sound, and more than a few at the time thought this might actually be Pearl Jam in disguise. In retrospect, the thought of it is laughable as modern listeners will not hear anything of Vedder in Weiland. By STP’s second record, the so-called “Purple“, most of these vocal quirks had shaken out. What was left was one of rock’s better singers, able to belt and shout, and also croon like a Laurel Canyon balladeer. Weiland was also obnoxious. It must be said that he lived the rock and roll life to the full, exemplifying it, being victimized by it, and making victims within it along the way. Ask the scores of STP fans that frequently got burned when they bought show tickets and were either treated to a wildly incoherent presentation (such as was seen in a much-publicized performance earlier this year from Weiland and the Wildabouts), or found the show wouldn’t go on at all. Weiland was in and out of STP a few times, and the substance abuse and erratic behavior was cited for making the relationship so unworkable. While I don’t believe this was ever directly stated, those same negative traits must have also doomed the relationship between him and his second band, the supergroup Velvet Revolver. After Weiland’s departure from VR, group members Matt Sorum, Duff McKagan and Slash, all formerly of iterations of Guns ‘N’ Roses, stated that VR would go on. A vocalist would be found and “the enterprise was definitely not over.” Nothing ever came of that. And that’s probably the great tragedy of the career of Scott Weiland. He was that good. He was so difficult to replace. By the time of STP’s third record, Tiny Music: Songs From The Vatican Gift Shop, the band was no longer an acolyte of classic rock, but was strong enough to stand within it. Two other records, No. 4 and Shangri-La-Dee-Da notched hits, including the standout “Sour Girl”. In his absence from STP, long-suffering members Dean DeLeo, Robert DeLeo, and Eric Kretz soldiered on with other singers as Talk Show, Army of Anyone, and Stone Temple Pilots with Chester Bennington. None of these formations stuck (and Bennington formally departed STP just this year, fueling again the idea of yet another Weiland reformation despite previous acrimony and lawsuits). It was never the fault of the core group who continued to do commendable work. The fault was that they had a destructive superstar as a vocalist. So it ends pretty much as everyone expected it to. There is a terrible practice in the media where some obituaries are pre-written: the celebrities that earn this dubious distinction having given the writers enough evidence over time to suggest that the conclusion was much more “when soon” than “if many years from now.” Weiland’s output with STP, aside from 2010’s eponymous-titled reunion which is a lousy cap to a good run, stands tall. That it should all fade out on a tour bus just a hair outside the glare of years of public decline is the self-fulfilling prophecy. It seems sad and unnecessary, but completely in keeping with how Weiland comported himself as rock star.